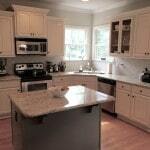 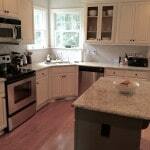 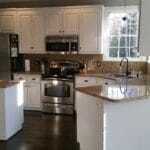 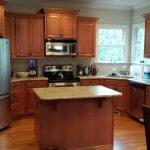 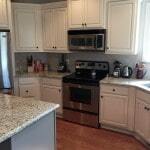 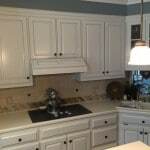 This smaller kitchen looks so much bigger and brighter with Niveous paint and pinstripe glazing on the cabinets. 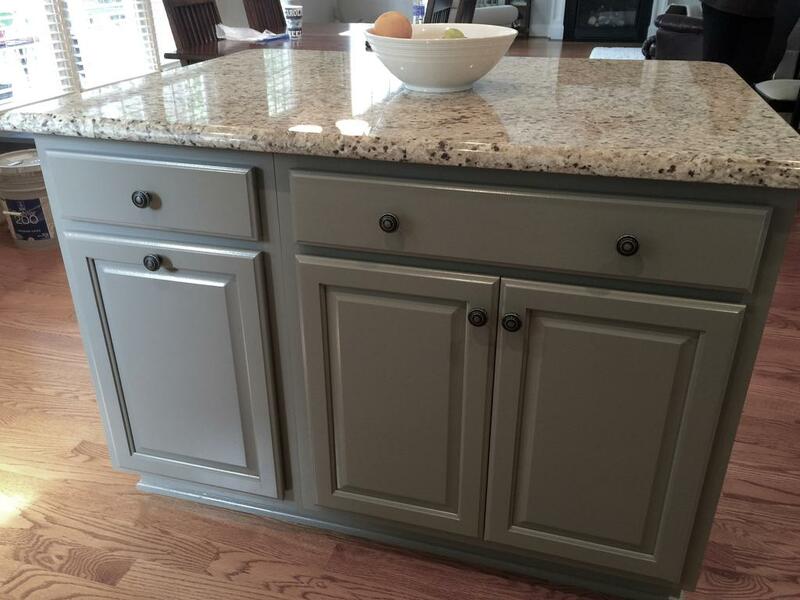 It’s amazing how something as simple as fresh paint will produce such a dramatic effect. 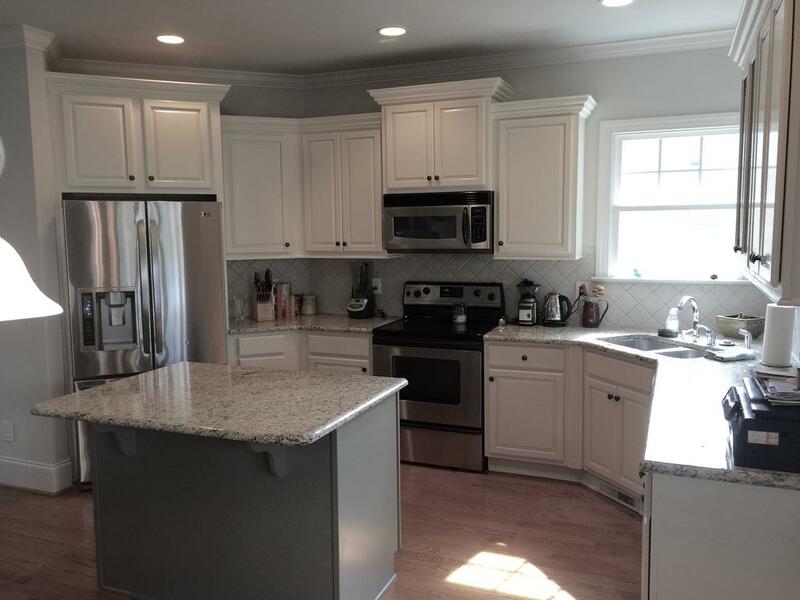 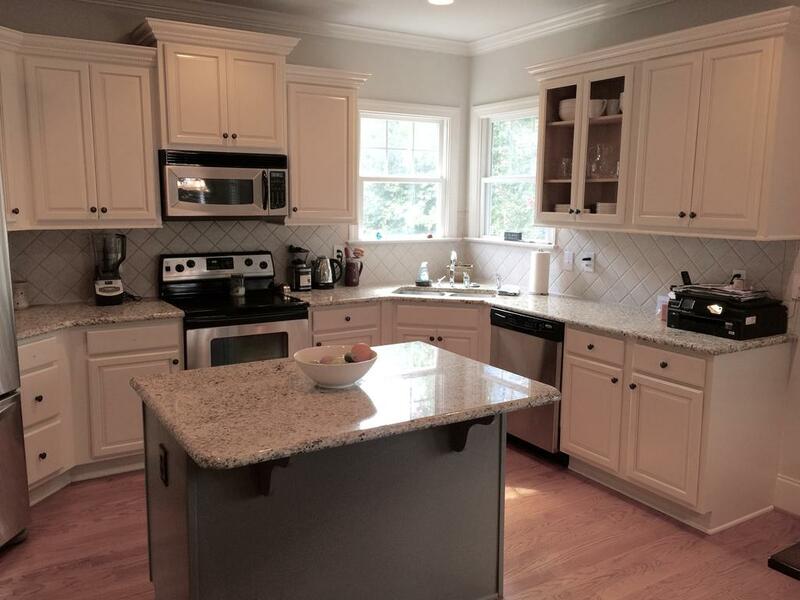 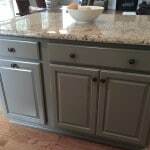 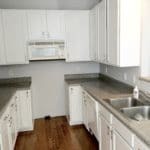 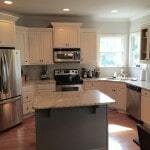 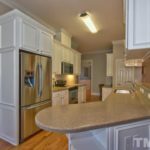 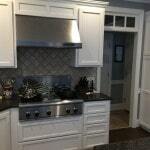 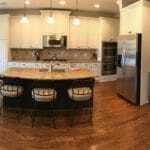 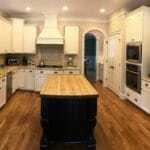 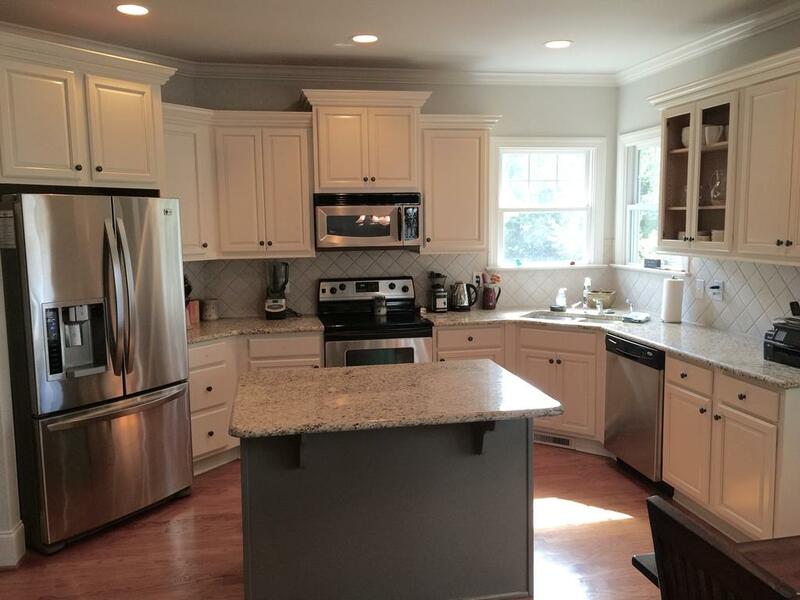 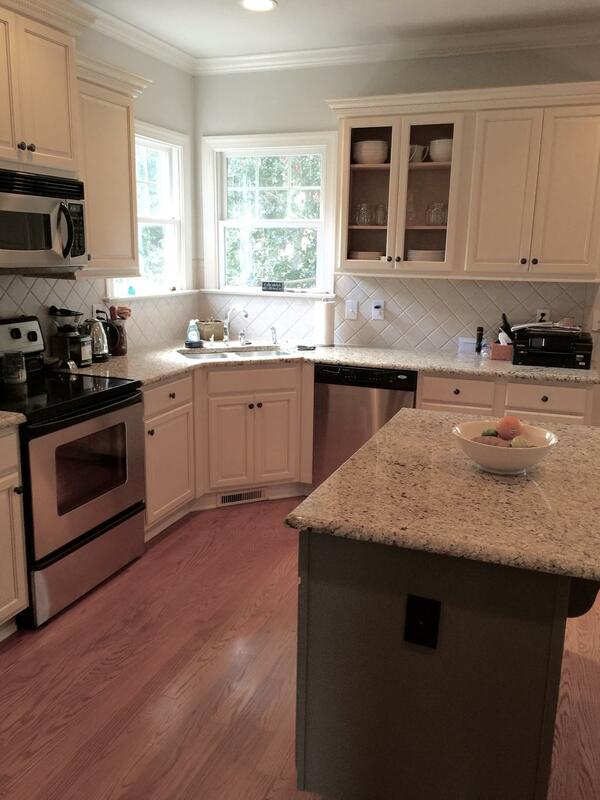 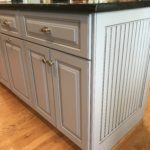 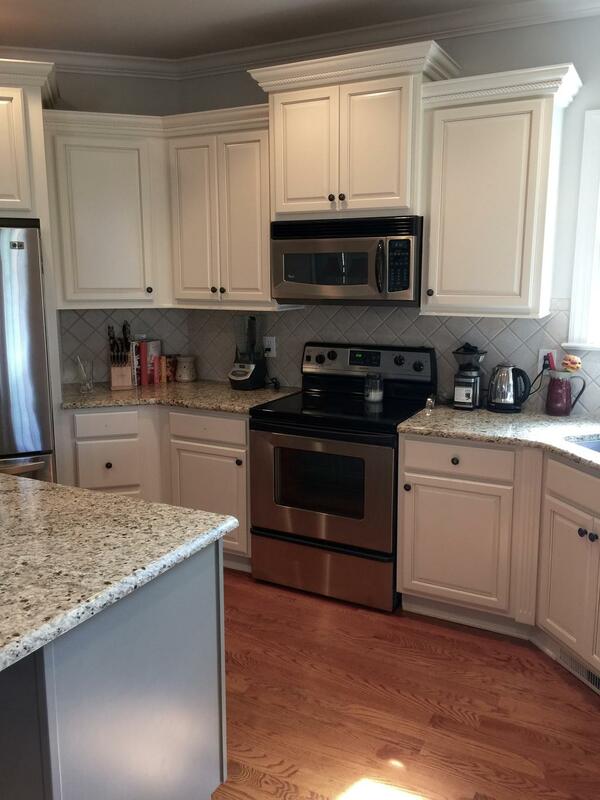 In the Before pic you’ll notice that the cabinets blend into the floor, and neither the pretty backsplash tile, nor the warm wall paint are too noticeable or eye catching. 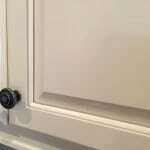 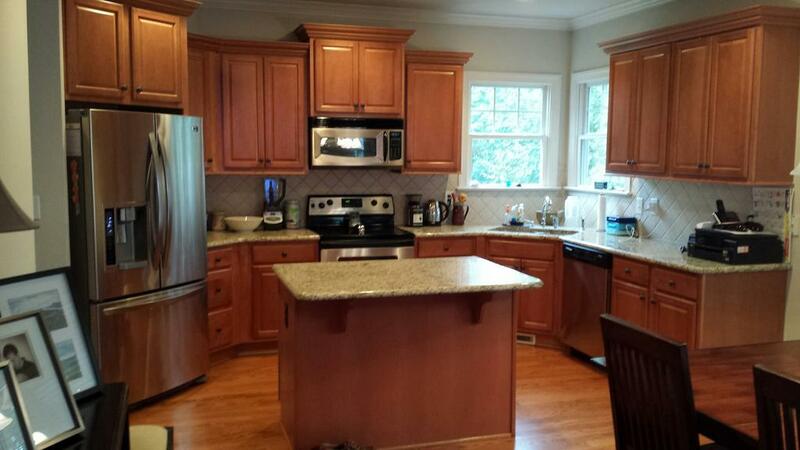 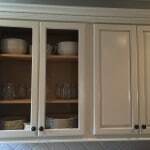 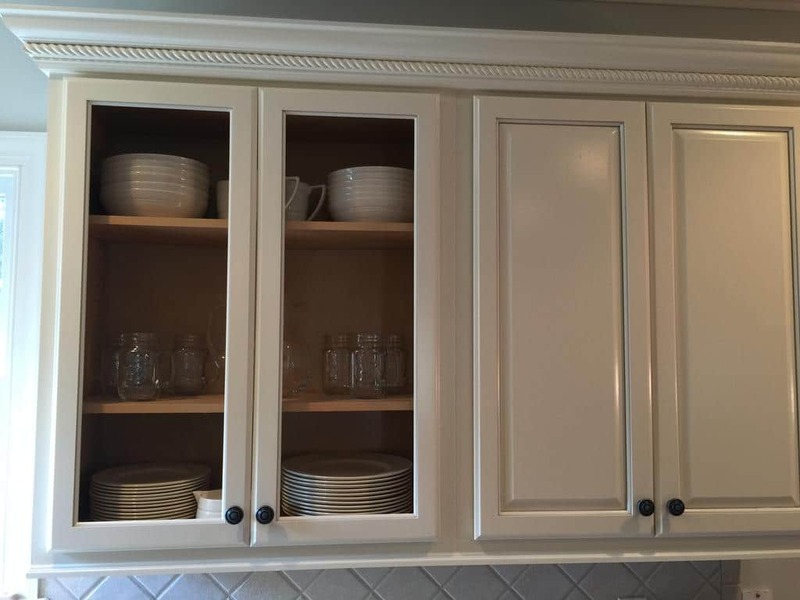 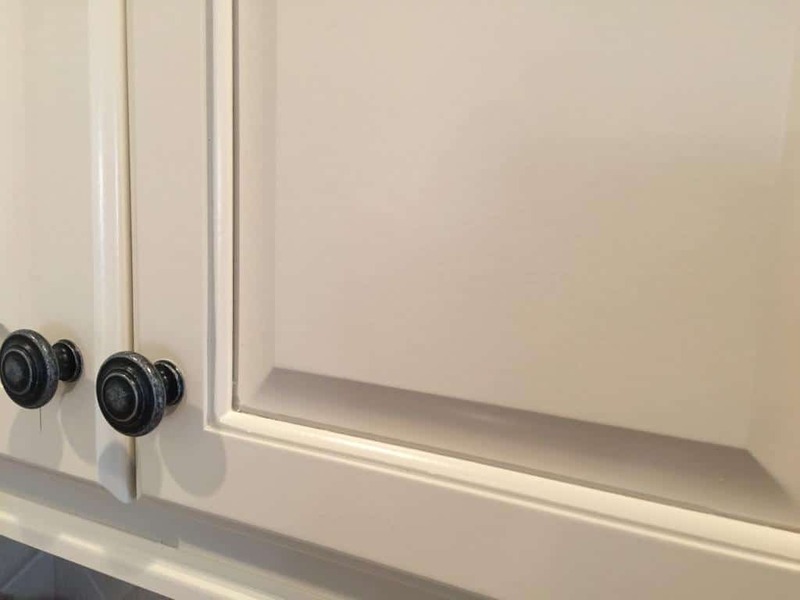 But after adding Niveous to the cabinets everything now looks intentional. 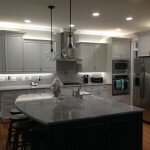 Makes me want to stay indoors and bake something yummy!